With all the students, staff and visitors that make up a school’s audience on a regular basis- high-quality seating for assemblies, outdoor events, exams and dining is essential! The question is how can you find the best suited product for you that will stand the test of time, not to mention rowdy students? Here are our top tips to help you equip your education environment with audience seating that provides comfort and practicality so that education can take the centre stage. When browsing audience seating the most aesthetically pleasing chairs are likely to make the best first impression, but before letting your eyes make any firm decisions, start by considering what you wish to gain from your new seats. If you’re keen to impress, higher end fabrics and personalised upholstery can be an effective style enhancer, whilst temporary sponsors panels can be added to generate advertising revenue. However, for high volumes of students and regular use, durability may be higher on the priorities list. Luckily, durability and comfort can be achieved without sacrificing style. All of our Audience Seating collections provide high levels of strength, reliability and comfort but with a range of benefits to serve varying needs. A good point to address at the beginning of your seating journey at is always how many chairs you are going to need. 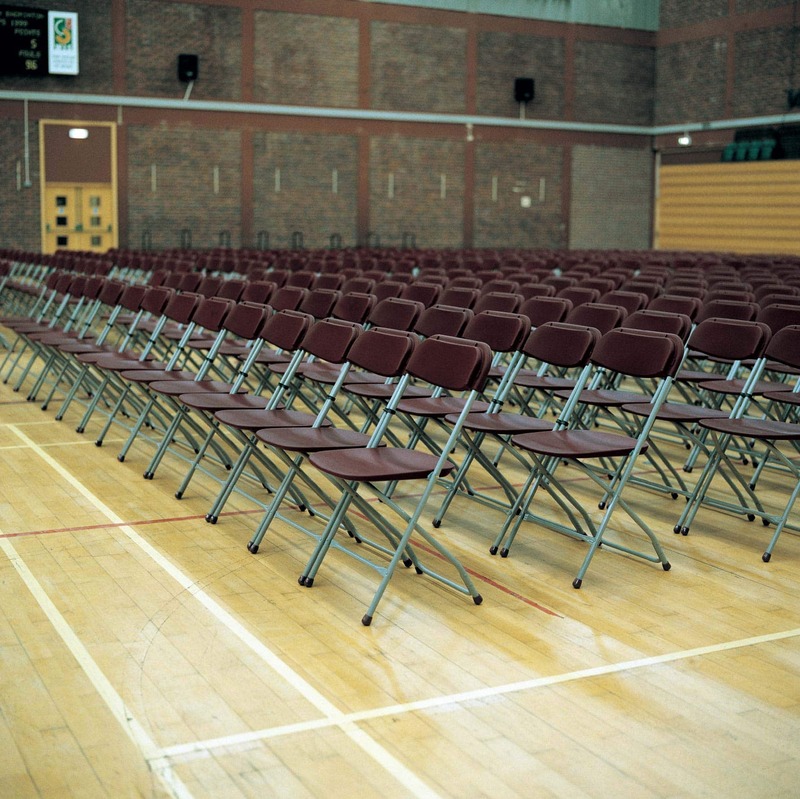 For busy educational spaces where numerous rows are required, folding chairs provide an excellent solution. 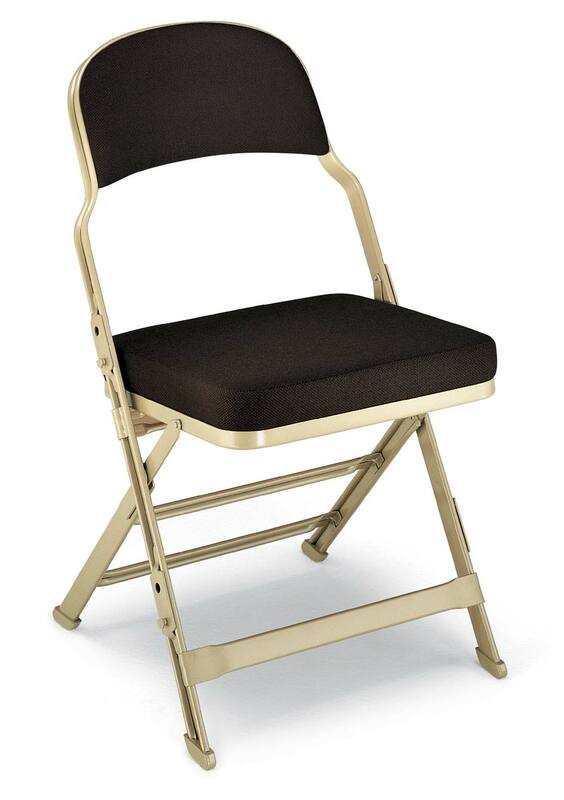 Folding frames ensure quick and easy setup and use and our folding chairs, enhanced by double rolled steel (pictured below) offer exactly that. 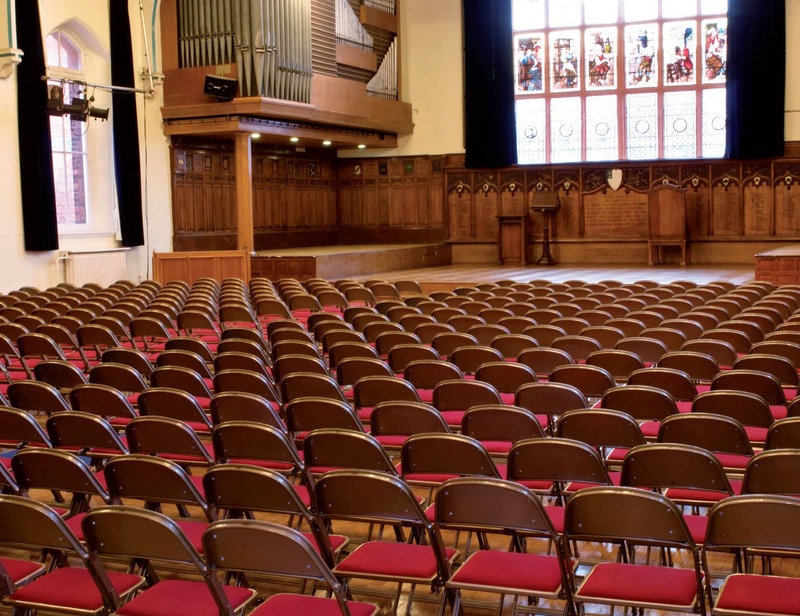 The chairs can withstand the most demanding audiences with a warranty of 10 years, whilst additionally providing a self-levelling solution that compensates for uneven floor surfaces. 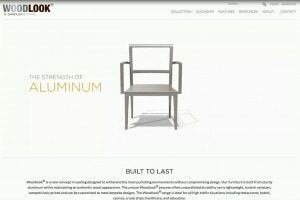 Enhancing folding chairs with the possibility of frame linking, interbracket arms or continuous floor bars allows chairs to be linked closely together without putting any limits on comfort. Not to mention, folding chairs can easily be stored away on space-saving trolleys, taking away the stress of storage and time management. 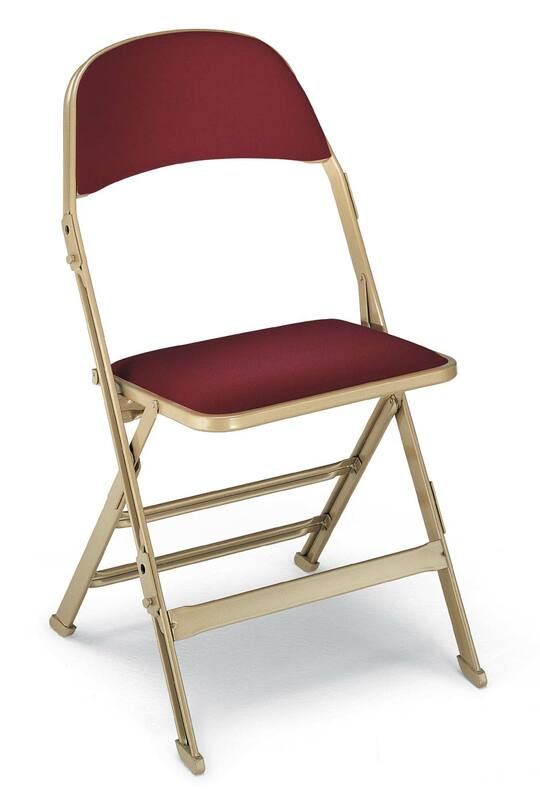 For smaller quantities of chairs or a more modest choice, tubular steel frames offer outstanding durability, comfort and style, but with a few less of the double rolled steel frames added extras. Stackable chairs may also be a more practical choice for your space, whilst still providing that much needed ease of transition when setting up and storing temporary seating arrangements. 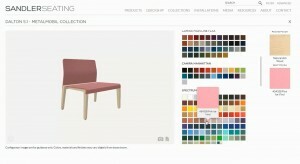 The arrangement of your seating can make all of the difference in creating your desired impact. Aside from comfortable seats and a long-lasting frame, giving each member of your audience the best view possible will increase the chance of your message being communicated to its desired effect. For environments that will have audiences seated for a long time, comfort is paramount, whilst also ensuring enough space is available between rows for ample leg space. Tip-up seats are a practical and popular choice, helping to fit in additional rows whilst also reducing any queues to get in and out of seating areas. 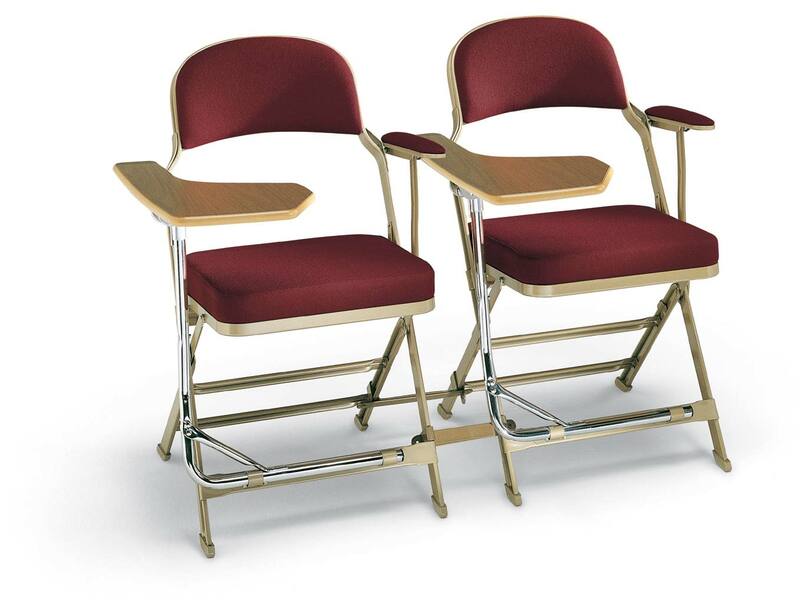 For exams or environments where students may need to interact, tablet arms and detachable or folding book racks can be incorporated onto chairs without impacting on space or comfort. When designing a seating area, it is also important to consider disabled access and accessible exits in case of an emergency. 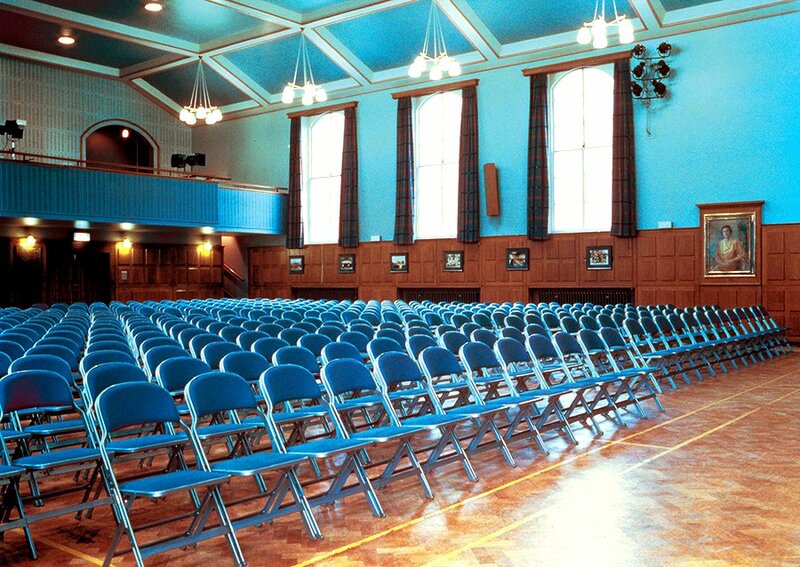 Having a professional access your seating plan can help to ensure that your educational environment has been designed for maximum safety and efficiency before it goes live. You can design a seating setup fit for Buckingham Palace but all of that effort can prove pointless if your chairs are not comfortable or the right fit for your audience. The best way to test your seating is to get in to your audience’s seat- literally. Test your chairs before you buy them to make sure that they are comfortable. This way, once your setup is complete, you can be assured that your audience will be relaxed and in the best position to pay attention. For more inspiration and some suggestions to get your education space seated, take a look at our full Audience Seating range HERE.